For over 30 years, The Association for Utah Community Health (AUCH) has represented Utah's Health Centers and their patients. 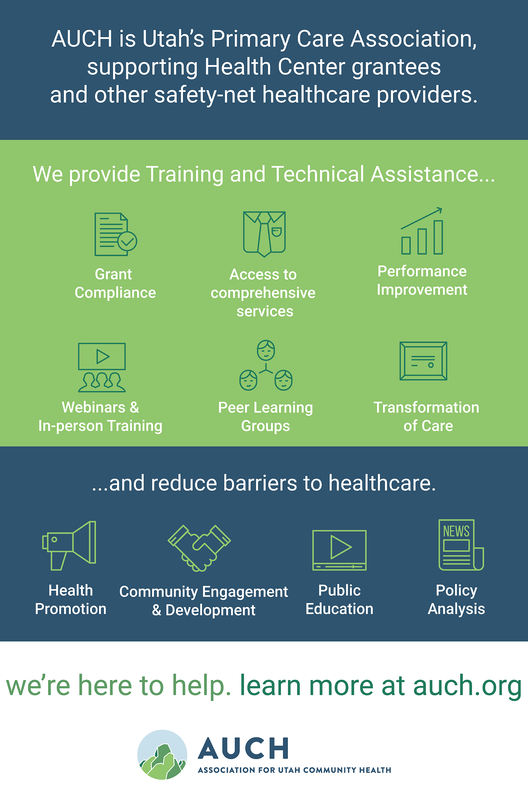 As the Primary Care Association (PCA) in the state, we provide over 15,000 hours of training and technical assistance to 13 Health Centers as well as our affiliate members each year. Our members include Federal Health Center grantees who provide comprehensive, high-quality primary and preventive healthcare services to all individuals, with or without insurance, regardless of ability to pay. Health Centers are community-based, patient-directed organizations that eliminate geographical and financial barriers and serve populations with limited access to care. 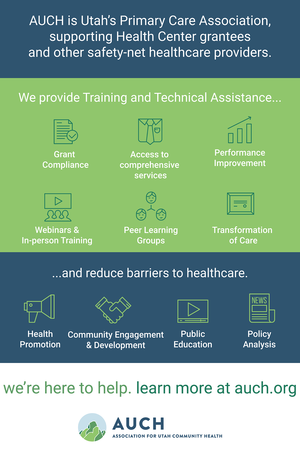 In support of our members and the people they serve, AUCH helps reduce barriers to healthcare through health promotion, community engagement and development, education, and policy analysis. AUCH is designated by the Federal Bureau of Primary Health Care as the state PCA and receives federal program support to develop and enhance services for members.